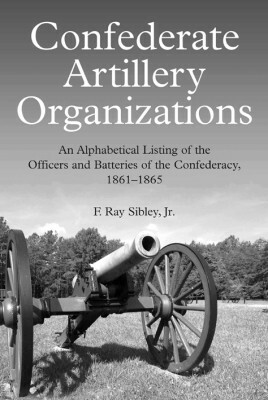 An Alphabetical Listing of the Officers and Batteries of the Confederacy, 1861-1865 is a remarkable, immensely useful, and exceedingly rare book containing the names of the officers and every Confederate artillery unit. It is so rare that most scholars in the field don't even know of its existence. Unfortunately, due to sales rights restrictions, we cannot offer Confederate Artillery Organizations for sale in your country. It was originally published as simply Confederate Artillery Organizations by the U.S. War Department in 1898, one of Marcus J. Wright's compilation aids to help assemble and organize the massive publication that would appear as the 128-volume The War of the Rebellion: A Compilation of the Official Records of the Union and Confederate Armies (1880-1901), known to researchers and students alike as simply Official Records. Editor Ray Sibley spent more than a decade researching the thousands of entries, correcting mistakes, and adding many artillery units and additional officers unknown to the original compilers more than a century ago. Sibley utilized archival records, manuscripts, letters, diaries, and other sources to verify the original work, correct mistakes, and add further useful information in the form of hundreds of valuable footnotes.